Kofi Kingston defeated Daniel Bryan at Wrestlemania and became the WWE Champion this past Sunday. Billy Graham congratulated Kingston for his big win. However, he also gave Kofi some odd advice. It isn’t known if Billy was joking or not, as steroids are banned in WWE thanks to the company’s Wellness Policy. Graham himself used a lot of steroids during his time as a wrestler and lectured athletes in the past about the danger of steroids. His own use of steroids made him senile and required both of his hips to be replaced. He also advised Kofi to study his old promos. This is true lol. Then just start blocking as many as they can. Must be a lonely douchey kid or a amateur ranked troll, to troll on a wrestling site. I’m not about to sit her and play keyboard warrior with a an 11 year old. Block him enough to where he gets bored or decides to take it somewhere else. Then why even speak at all? You clearly do it for a reaction. That wasn’t the post that prompted a warning. You can’t state that your “Black African American”, that’s a contradiction. Your Black American, unless you were born in Africa and found America as your second home. If you were born in America, you’re BLACK AMERICAN. Though, leave the subject of racist appeal out of it. Your American by standard, the same as everyone else. PERIOD. Oh, no… not that. By golly. In this thing called the “online” world, “Please block him” is the best you’ve got? Seriously? Chummer probably has a few accounts here and there. It’s okay… we ALL white. Though Mickey’s post wasn’t racist, he’s simply repeating what the truth is, that Vinny is a huge racist. 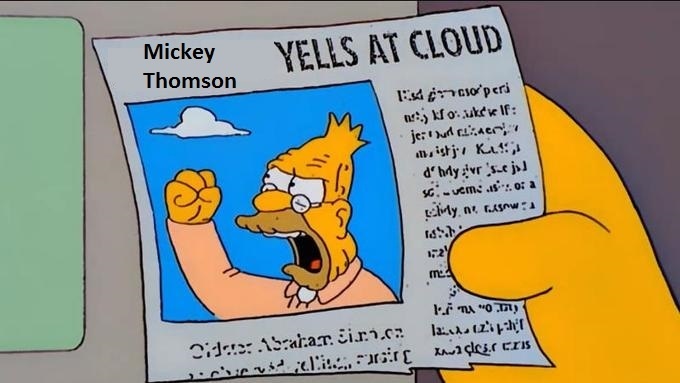 You can’t shame Mickey for trying. In my perspective, your warning is valid, Mickey should have worded his post better. It seems the masses already agree your opinions are offensive and misguided. Sorry that plan didn’t work out too well for you. Does he know Rey Mysterio was champion? Haters gonna hate, I’m just speaking for the masses. You all claim I am blocked but still comment on my posts, hilarious. Yes, you have 2 hip bones, they replaced both. Block him no need to get into a hating troll like Mickey Thompson who has no life. Damn and they thought Hulk Hogan was bad. I have reported him in the past for this crap and ended up blocking him as well. The guy is a troll and best ignored. Saw the title and knew it was behind the times Billy before I even clicked on it. Somebody put this old goat out of his misery. Racism will not be tolerated here. This is your warning. So a man who admitted that he can’t please his wife sexually due to taking steroids is telling someone else to take them? smh. You guys don’t need to post anything else he says anymore. I am a black African American male and I find your comments very offensive. Are you trying to say that a champion should be white ? I find this to be extremely racist and I ask you to retract your comments. I ask admin to remove and or ban this user for his recklessness. 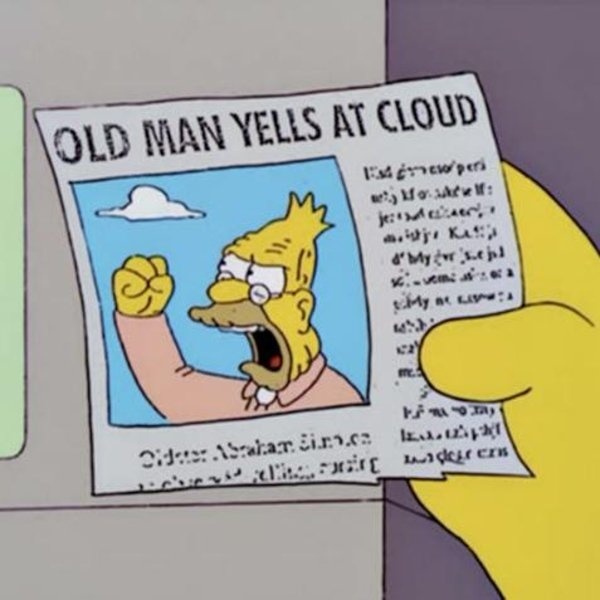 Can someone insert the “Old man yells at cloud image” here? Hes just old and behind with the times. Don’t matter how many steroids he does, wont make him white.